Objectives: To explore the effects of membership in a fitness program for older adults on social isolation, loneliness, and health. 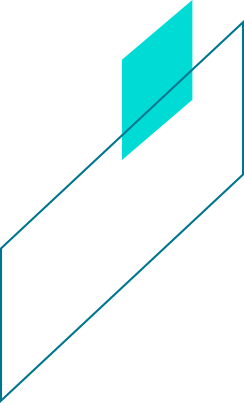 Method: Using survey responses from SilverSneakers members and matched nonmembers, regression path analysis was used to examine the influence of SilverSneakers membership on physical activity, social isolation, loneliness, and health, and the interrelationships among these concepts. Results: SilverSneakers membership directly increased physical activity and self-rated health, directly decreased social isolation, and indirectly decreased loneliness. Decreased social isolation and loneliness were associated with better self-rated health: social isolation and loneliness had independent direct effects on health, while social isolation also had an indirect effect on health mediated through loneliness. Discussion: Members of SilverSneakers experienced better health through increased physical activity, reduced social isolation, and reduced loneliness. Future research should explore independent effects of social isolation and loneliness on health and the mechanisms by which membership reduces social isolation and loneliness. Together, Tivity Health and the MIT AgeLab tested the impact of SilverSneakers on social isolation, a modern epidemic that increases risk of premature death by 29% — more than obesity and as much as smoking 15 cigarettes per day. 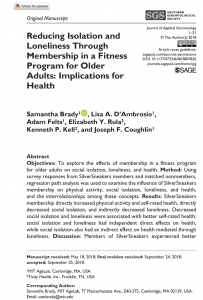 The study of over 3,000 Medicare Advantage members compared SilverSneakers participants to a control group on their physical activity, social isolation, loneliness, and health status. SilverSneakers participants were significantly less socially isolated and lonely than the control group. The social benefits of the program magnified the health benefits. The reductions in social isolation and loneliness had a positive impact on health above and beyond the direct health benefits of the higher physical activity among the SilverSneakers group.